Good morning everyone!! I have been meaning to do a wedding updates post for a while now 🙂 We are pretty much in the final stretch now, with less than two months to go! You would think that we had everything under control, but there’s actually still quite a lot of (small) details to take care of. This is a long post so grab your coffee or a green tea and let’s jump right in! 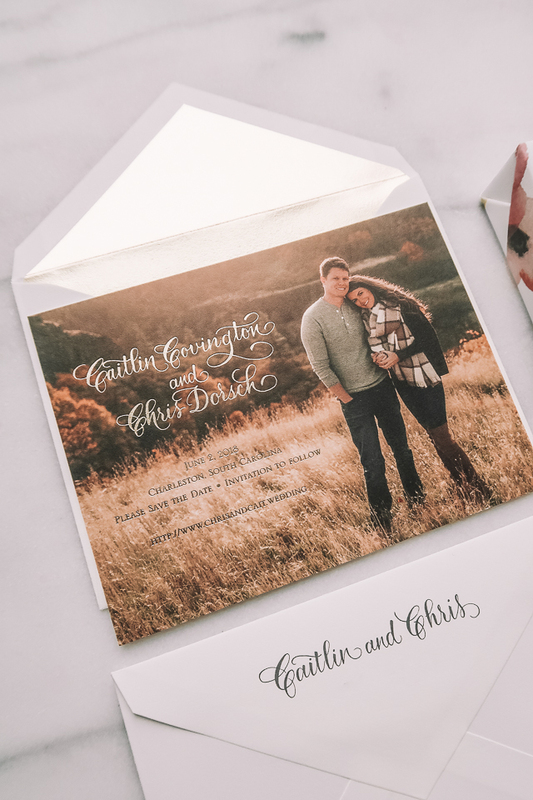 We are also working with If It’s Paper on our wedding invitations and OMG – they are so beautiful I can’t wait to share them with you! If It’s Paper has locations in both Greensboro and Raleigh and you can schedule an appointment here. Secondly, how do you guys feel about a pink cake?! Since our wedding is outside in June in the Charleston humidity, we’ve had to be pretty creative about the cake! We can’t have our cake outside too long or it will melt in the heat. What we’ve planned to do is have a small two-layer cake that we can bring outside right before the traditional cake cutting, and then have pre-sliced cake plates ready to pass out to all the guests. 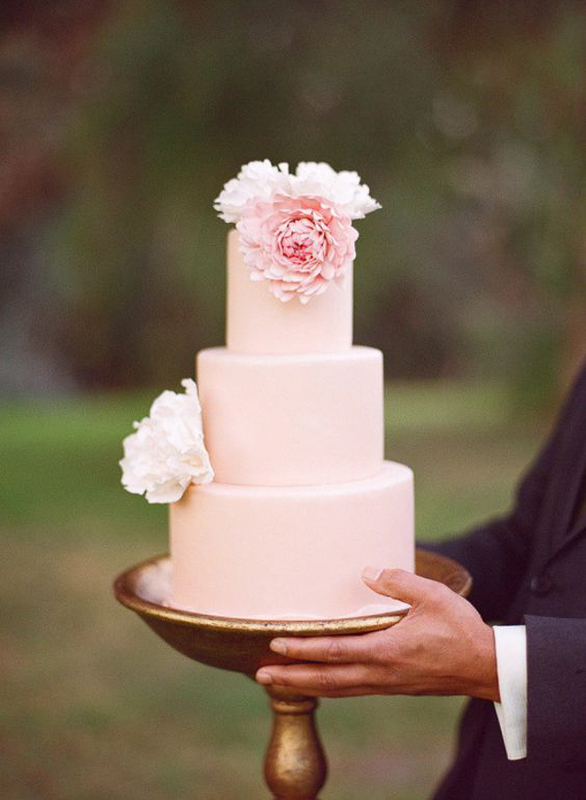 I want to keep the cake pretty simple, and these blush pink ones are stunning! I love that they’re unique and not your traditional white cake. 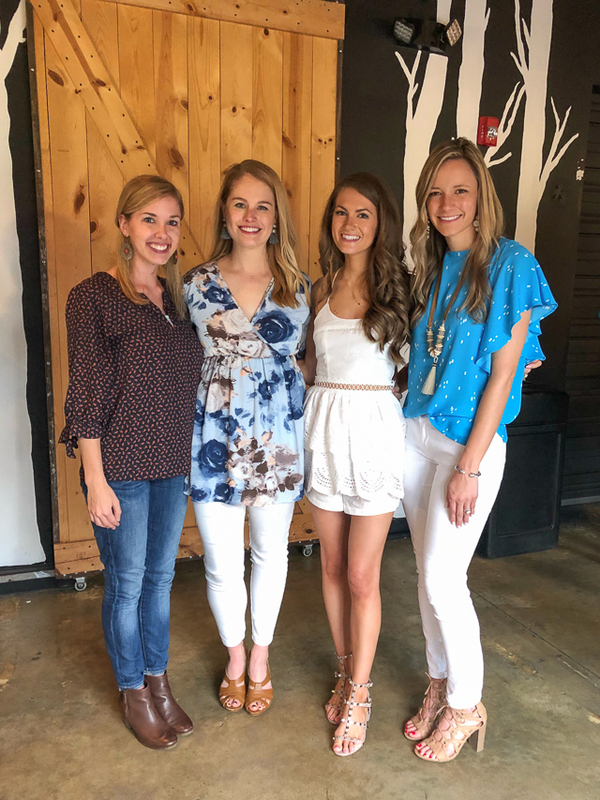 On another note, we had an AMAZING couples shower this past weekend thrown by my bridesmaids and best friends, Melissa, Kelsey and Anna! 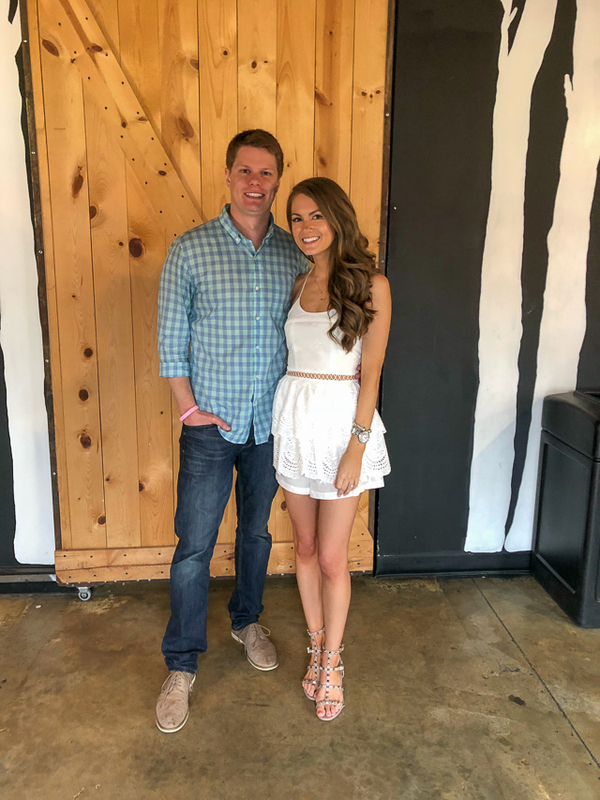 They had asked if I wanted a traditional bridal shower or a couple’s shower, and I opted for a couple’s shower because I thought it would be fun to include Chris and all of our couples friends as well. (Plus my cousin is throwing me a traditional bridal shower later this month!) We had the shower at VBGB (a brewery) near uptown Charlotte and it was SOOO much fun!! Here’s a picture of me with Melissa, Kels and Anna! I wish that I had taken pictures of the decorations (they had baby pictures out of Chris and me!) but it was a whirlwind – Chris and I were both trying to talk to everyone and the time flew by really fast. A few of our friends told us that it was a very small glimpse at what our wedding would be like – trying to talk to everyone the entire night! As I mentioned before, I have another shower coming up two weekends from now that my cousin Jennifer is throwing. Since this one is a little nicer (and at her home, not at a brewery hahah) I want to wear a dress that is a little fancier. What is your opinion on these, #1 or #2?! They are very similar but I want to keep one and return the other, so let me know your thoughts!! Both dresses are gorgeous but I'm leaning toward #2! I love #2 as well! Awww!! Everything is coming together so well! All so dreamy too! Exciting! How exciting! 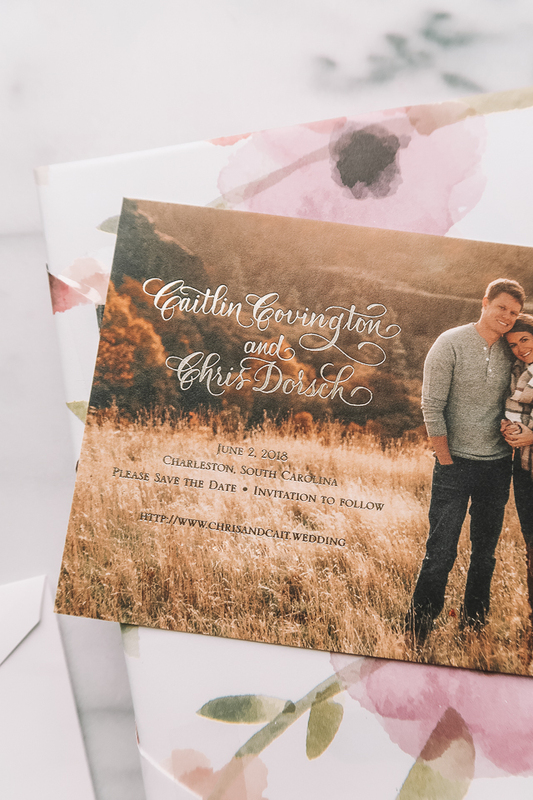 Sounds like a fun time and your save the dates are the cutest. I think the cake would be my favorite part of planning a wedding. Absolutely love the blush cakes! My wedding two years ago was blush and gold so we did a blush cake and got so many compliments on it — people couldn't wait to eat it! And when attending so many weddings guests love to see unique touches that make it your own. Can't wait to see what you put together! From what you've posted so far it seems like it's going to be such a romantic garden wedding. Dress #1 for your second shower! Although you look gorgeous in both! You're getting married on my birthday! 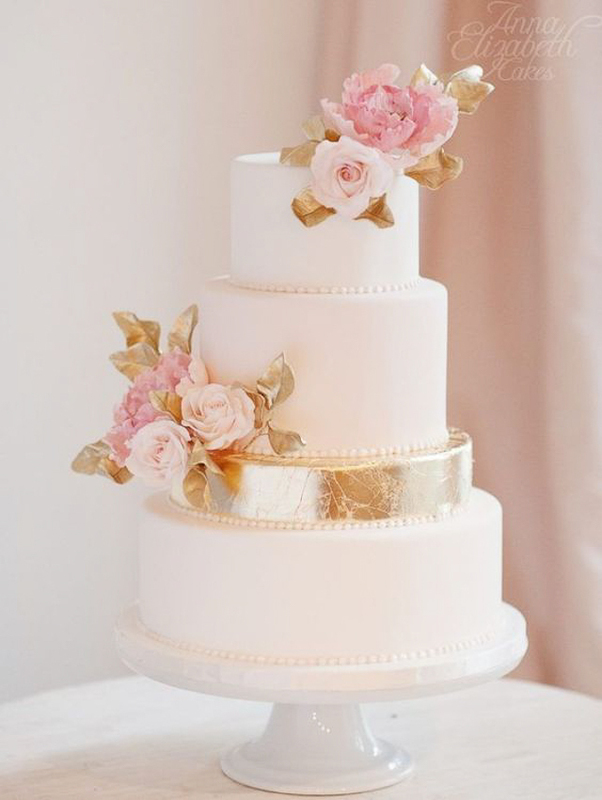 Love the first cake with the touch of gold!! and loved the first dress with the straps. So fun to see your wedding updates! I am now 15 years married with 4 kids, the secret always listen even when you are angry and be patient with your self as well as with him. Good luck on the big day!! This was a great, fun post! You have some amazing friends-your couples shower seemed so much fun! I vote dress #2-I love the little cold shoulder sleeves! Could you keep one for your rehearsal dinner? I had a blush pink cake with white detailing and it was so beautiful!! Aww it’s getting close! I love seeing all the details! The blush cake is beautiful! Both dresses are beautiful! I love this little update, what cute ideas!! I vote for dress #2. Both are beautiful but I think the off shoulder with straps and the smaller portion of see through at the bottom take # 2 to a higher level of elegance! Hi, Didn't you have a blue dress like the first dress? I would go with dress #2. It's beautiful on you. But you can't go wrong either way! Congratulations on your upcoming wedding. I always say that the only thing I wouldn't redo at my wedding is my choice of husband and my wedding cake. But after seeing the pictures of the pink cake, I may have changed my mind. Aww we have the same wedding date! It’s gunna be a great date! ❤️ I vote dresss #1!! Both look gorgeous on you, but #2 speaks to me more! #2 is perfect, less formal! Both are pretty, but I think Dress #2 has more details that make it stand out! I vote Dress #1! I think the cold shoulder trend is going to look soooooo dated soon — you'll look back at pictures of you in the first dress and think timeless + pretty! And I LOVE the pink cake idea! 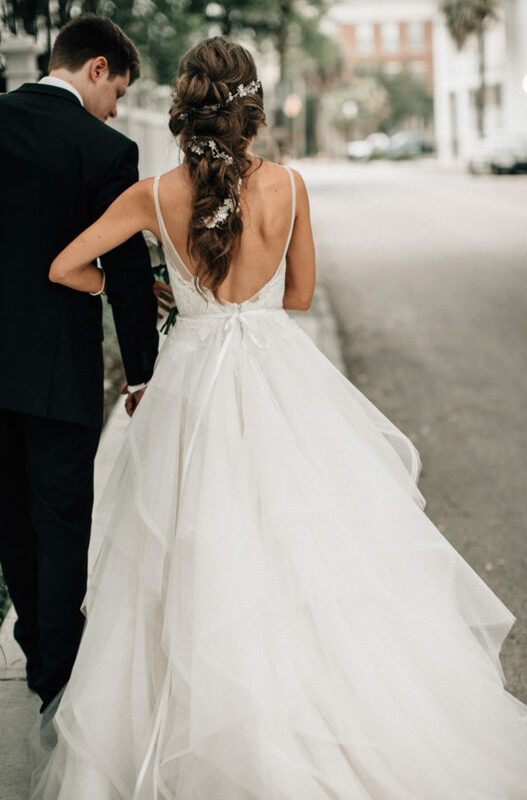 Both are gorgeous on you, but I pick dress #2! love hearing about your wedding plans. So so exciting! I'm loving the wedding updates! And I vote for dress #1 although they are both perfect. Dress #2. The blush cake is gorgeous!! Love your save the dates. My wedding colors were blush, gray and white and my flowers were so amazingly beautiful! I had hydrangeas, white and blush roses and peonies. I know your wedding will be gorgeous! I love white dress #2!! It looks amazing on you! Dress number 1 is so cute! Congratulations on your upcoming wedding!! I'm almost exactly a year out from mine! I had a blush pink cake, and it was absolutely gorgeous! It was the favorite thing from my reception and it photographed beautifully! Thank you for the post office tip…I did not know that. I think a pink cake is fine as long as it's a light pink like the cake in the top photo. I vote for dress # 1. Also, can you please post the Palm Beach hotel review? Thanks! Thank you for the update!! I love both but probably #2 a little more because I love off the shoulder! Sounds like your shower was a lot of fun – I always love when couples do the shoe game because there are bound to be some funny ones!! One piece of (unsolicited) advice that you definitely don't have to take: don't feel like you have to talk to everyone at your wedding. This is really your day to feel special and enjoy, you only do it once! So eat, drink, dance, talk to people when you have time, but please please please don't let the entire night go by because you feel rude not talking to everyone and then wish you had more time to spend with your husband on the dance floor. We spent about an hour right when we got to our reception going around table by table talking to people (we really tried to get to the people who came a long way or we see the least frequently), and then drew the line there. We gave a heartfelt speech thanking everyone so much for coming and then just enjoyed the rest of our night. 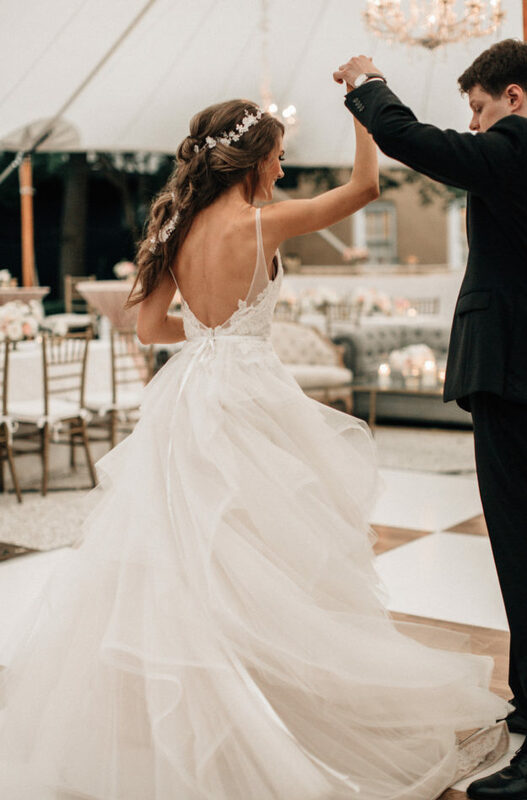 When I've been a guest, I've never ever felt slighted if a bride doesn't talk to me – doesn't make me think she isn't grateful for me coming to celebrate her! Remember, the day is about you and Chris, it's not really about your guests. Whatever you decide, I hope it is an absolutely magical day! 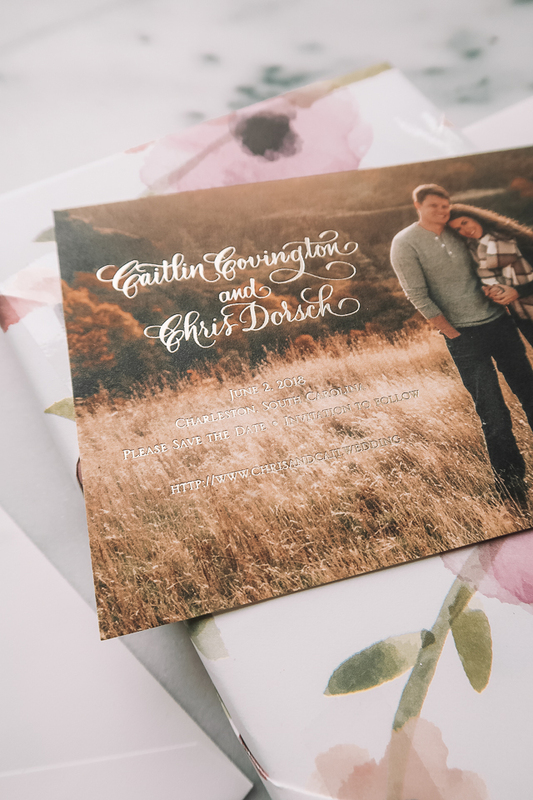 Love hearing about your wedding planning! 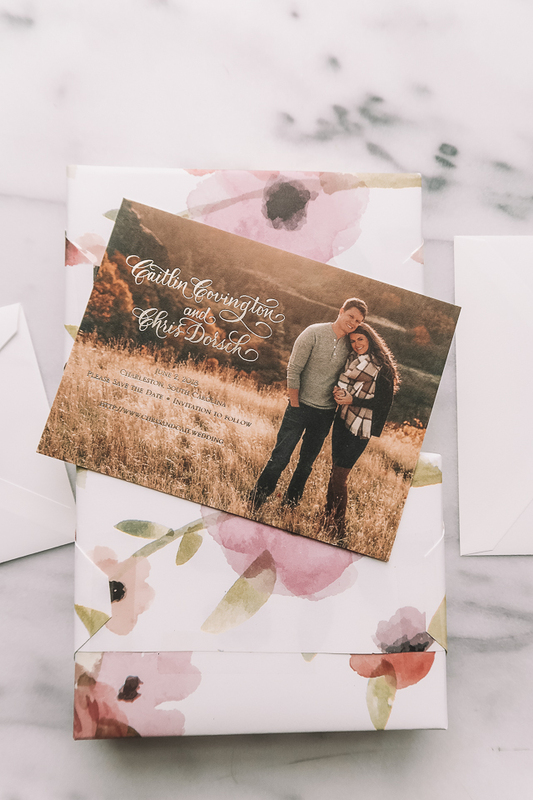 Your invitations are so pretty and love the pictures from your couples shower!